HomeNewsNEWS: Dead By April reveal new album details and November UK tour! NEWS: Dead By April reveal new album details and November UK tour! Chart-topping Swedish metal outfit Dead By April have announced that their sophomore full-length will be released on November 7th 2011 through Spinefarm Records, entitled ‘Incomparable’. A new single/video, ‘Calling’, will be made available on the run up to its release on September 19th. NEWS: blessthefall to release third album ‘Awakening’ this October! NEWS: Dead By April confirm London date for December 18th 2013! August 23, 2013 Zach Redrup News Comments Off on NEWS: Dead By April confirm London date for December 18th 2013! NEWS: Dead By April confirm four headline UK tour dates for May 2013! 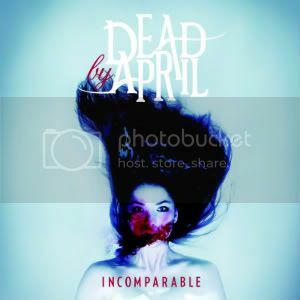 NEWS: Dead By April to release rarities mini-album!